The Three Cities. Even the name is fascinating and full of mystery. The Maltese also call them Cottonera, a collective name for three medieval fortified cities in the North of Malta, founded by the Knights of the Order of Saint John in the 16th and 17th centuries. The Three Cities are Birgu (Vittoriosa), Senglea (Isla) and Bormla (Cospicua). Birgu is the oldest of the Three Cities and existed well before the arrival of the Knights. It also the most popular town among the Three Cities due to its historical and cultural wealth. You can find them to the East of capital city Valletta, right across Grand Harbour. With over 11,000 inhabitants combined, the Three Cities are regaining their past popularity, attracting many investors who are buying property and turning it into state of the art homes. This revival has also attracted the tourism industry, with boutique hotels, restaurants and wine bars popping up along the narrow winding streets and alleys of the Three Cities. 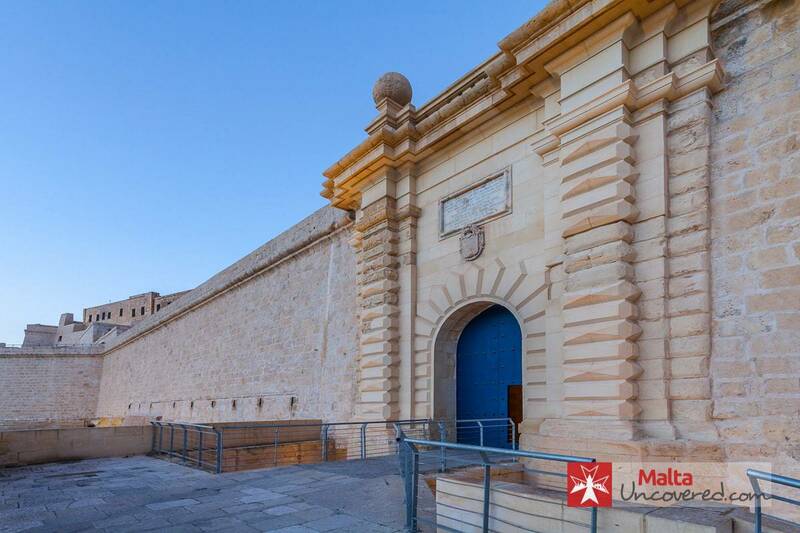 The Birgu Waterfront project, which includes a magnificently restored fort, museums, a yacht marina and several places for entertainment and fine dining has proved to be a great success with the Maltese and visitors alike. What makes the Three Cities worth visiting? Cugo Gran Macina Grand Harbour is one of the few luxury hotels around (in Senglea) and is a fairly recent addition. If you’re looking for a luxurious stay (even as an option for staying near Valletta – with a quick ferry crossing nearby), this is a great option. Sally Port Senglea is a boutique hotel that’s a little more affordable and is setup in a stately classical house in the heart of Senglea. 50th Boutique Hotel is a small boutique hotel that’s another high end option, in Birgu. Stylishly decorated rooms that offer amenities like jacuzzis make for an attractive offer if you’re looking for luxury. Locanda La Gelsomina is a similar boutique option in the heart of old town Birgu that’s family-run and has a rustic feel. Although they offer all that you’d expect from luxury accommodation, rates can get a little too high for the value offered. No. 17 is a much more affordable option, but is a guesthouse rather than a hotel. A fairly new addition, they’re racking up positive reviews quickly and look to be a great option if you’re looking for more modestly-priced accommodation in the area. The Three Cities are special in many ways. Their history, tightly related to the order of the Knights, their location, overlooking the Grand Harbour and their contemporary revival to a new found glory make them so unique in what they offer. All of the three are insanely rich in history, having been the first fortified cities built by the Knights of St John when they arrived in Malta in 1530. The Knights had been thrown out of Rhodes in 1522 and after seven years of wandering they were finally given Malta as their new home. They settled in Birgu, making it their capital, repurposing the ancient fortress known as Castrum Maris as Fort St. Angelo, also building new fortifications and countless new buildings including churches, auberges, warehouses and palaces. The Grand Harbour was what made the Knights settle in that area. Trade and controlling the harbour were tremendously important and much can be learned by visiting the Malta Maritime Museum right on the Birgu Waterfront. While walking around the Three Cities, you cannot help but admire the imposing bastions, restored to their former glory. They are quite a sight, especially at night. Individually, each of the Three Cities has much to offer. Birgu is the most popular, and also the one boasting most attractions, such as the Maritime Museum, the Malta at War Museum the Inquisitor’s Palace and of course Fort St, Angelo. Bormla, with its six kilometres of fortifications is home to an impressive parish church with an oratory full of works of art. Isla hosts two astounding churches (namely St Philips and Our Lady of Victories) and has a lovely garden at its tip overlooking Grand Harbour where you can find a great example of a Gardjola watch post. Between the three, you’re in for some truly spectacular sights. Dive into the history of the Three Cities, take a stroll around the beautiful yacht marina or just relax in one of the many cafeterias, restaurants and wine bars. The Three Cities are well connected with regular buses and a water taxi service from Valletta and are easy to get to by car. By bus, the trip to the Three Cities takes about 15 minutes from Valletta. Route numbers are 1, 2, 3, 4 or 213. Alternatively, a more scenic way to cross to the Three Cities is by water taxi across the Grand Harbour. 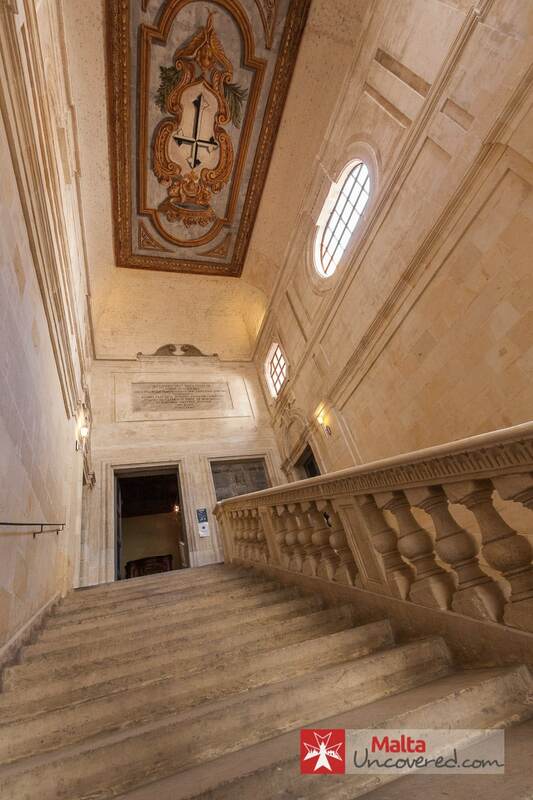 This is a continuous service offered throughout the day (running from 06:45h till 19:15h in winter and from 06:45h till midnight in summer – full schedule (PDF) here) and it takes just 7 minutes from Valletta to reach Bormla. 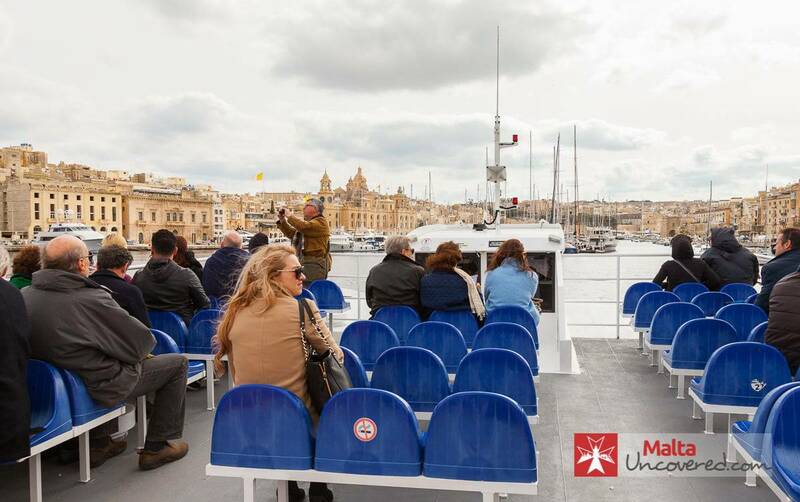 A ticket with return and use of the Upper Barrakka lift (Valletta) costs just €2.80 per person. You can also take a 30-minute harbour tour for a little extra. It is very easy to reach the Three Cities by car. Parking is not a problem unless there are events in the area. If you decide to park on the Valletta side, you can then either get one of the buses to the Three Cities or take the Water Taxi from the Valletta waterfront. Use of the lift in Barrakka is included in the ferry ticket. An alternative way to visit Cottonera is using self drive silent electric cars, complete with pre-programmed GPS that not only take you on the perfect tour, but explain what you’re looking at too. This service is provided by Rolling Geeks, a company located on the Birgu waterfront. Using these cars, you can go as far as the Rinella Fort and the Malta Film Studios, just outside the Three Cities. Once you’re in Birgu, you can take a dgħajsa across the creek to Senglea. These traditional Maltese boats operate from near the Maritime Museum, costing €2 per person. The trip takes just a couple of minutes but saves you a 30 minute walk. Although taking a stroll through its streets is a fun experience in its own, taking a short guided tour with a professional tour guide can provide a lot of in-depth info and better understanding of the area. This is my recommendation for a well-reviewed tour to take. Either way, here are a few highlights of what to expect at each of the Three Cities. The biggest concentration of interesting sights to see within the Three Cities is found in Birgu. From the bastions to the Inquisitor’s Palace, from St. Lawrence Church to the Maritime Museum, the imposing Fort St. Angelo, the Malta at War Museum and War Shelter, or even for just a quiet ramble through the old city centre known as the collachio. Along the narrow streets and little squares you’ll encounter various cafes and band clubs where to stop for a little snack. You’ll find more details in my Birgu article here. If you like open markets, you might want to go to Birgu on a Tuesday morning. The market there is well worth a visit with items on sale ranging from fresh produce, clothing and all sorts of random items. Every Sunday morning there’s also a car boot sale where you can find all sorts of interesting stuff for sale including records, furniture and old WW2 memorabilia. The Church of Our Lady of the Immaculate Conception is worth a visit. It is famed for its beautiful interiors and precious works of art including The Madonna and Child by the Italian painter Veneziano. Bir Mula Heritage Museum (79, Triq Santa Margerita) in Bormla gives you some real insight into how people lived in the area well before the Knights set foot here. With various artefacts and archaeological finds on display and set within an ages-old house, there’s plenty to learn here for those interested in history. The first one is the Our Lady of Victories Parish Church built soon after the Great Siege, filled with works of art, including a stunning wooden statue of the Virgin Mary. Then there’s the Gardjola and its garden, a sentry point overlooking the Grand Harbour and offering some beautiful views of Valletta. This is located at the end of Safe Haven Gardens at Senglea Point. The best time for a stroll around the Three Cities depends mostly on the time of the year. If visiting in summer, it is advisable to avoid walking between 11am and 3pm since the heat would be a little too much to bear. At night, especially with a nice breeze, a stroll by the marina is lovely. During spring, autumn and winter, a trip in the morning is mostly recommended. It is very easy to find your way around the Three Cities and then stop for lunch in one of the many eating places around the place. The Three Cities are packed with good restaurants, especially in the Birgu Waterfront area. However, all along the streets of the ancient towns, one will find several snack bars, little cafeterias and band or political clubs that offer quick snacks at extremely favourable prices. Places such as the Old City Pub and Birgi, right across the marina in Birgu or Il Bacino, a cafe, pizza & grill just by the water’s edge are great places to stop for lunch. The clubs also cater for snacks and are a good place to absorb the true local atmosphere. While in Birgu, go by the information Centre down by the marina. The people there are very helpful and you can get a small map of the three cities for free. Public toilets are available on the Birgu side of the marina, just before the Malta Maritime Museum. A fairly new restaurant in the area, and a good choice if you’re looking for a fine dining option, Hammett’s Macina Restaurant (Triq Il-Vitorja | Xatt Juan B. Azopardo. Tel: +356 2779 4171 | €€€€) is high on my list. Hearty Mediterranean with balanced flavours and with a creative touch, the cuisine is of a high standard, while the wine list offers good choice and the surroundings are beautiful to top it all off. Il-Hnejja (14, Xatt Juan B Azzopardo. Tel: +356 7960 3564 | €€-€€€) is a casual family restaurant at the seafront, specialising in fresh seafood. Tasty food with friendly service and consistently good, it’s a great option for both lunch and dinner. Tully’s Fusion (64 Triq Dingli-Cornelio. Tel: +356 9962 7301 | €€-€€€), also located at the Senglea seafront, offers a variety of flavours, mostly European and Mediterranean and never disappoints. Nuovo Cafe San Giorgio (Piazza Paolino Vassallo. Tel: +356 2756 5077 | €€-€€€) is a proper Italian restaurant located at a small square in Bormla. Run by Italians, the food is great and never disappoints while prices are reasonable. Also very Italian and a great option for a coffee and a snack or sweet is Caffe Pasucci (Fuq San L-Inkurunazzjoni. Tel: +356 2247 4626 | €-€€), further up the road. Nice little cafe for a quick break after you get off the Valletta ferry or before you head to the capital. Cafe Du Brazil (ix-Xatt Ta’ Bormla. Tel: +356 9946 9208 | €€) is a good place for a quick lunch. No frills but good food and service. You’ll be able to smell the freshly baked bread from a mile away: Gormina Bakery (Triq Il-Pellegrinaag | €) is a great place to get fresh bread and a few local savoury bakes. Both the Good Friday procession and the Easter Sunday feast are popularly attended in Senglea. On Easter Sunday, the statue of the Risen Christ is carried at a run through streets crowded with viewers standing on the sidewalks. If visiting in August, make sure you catch the annual Feast of St Lawrence on the 10th August, a night also very well known for the shooting star phenomenon which locals call Dmugħ ta’ San Lawrenz, or St. Lawrence’s Tears. And just two weeks after that, the feast of St. Dominic is celebrated on the last Sunday of August. The Nativity of Our Lady on the 8 September (which is also the day on which Maltese celebrate the victory of the Great Siege and is a public holiday). The Feast of the Immaculate Conception is celebrated in Cospicua on the 8th of December and even that day is a public holiday. Although the area has been inhabited since ancient times, the Three Cities as we know them owe their inception to the order of the Knights of St. John. They landed in Malta in 1530 and the first thing they did was to make Birgu the island’s capital city. They rebuilt it, erecting massive fortifications and forts to protect the Grand Harbour. In July 1551, Ottoman forces attempted to take over Fort St. Angelo–they couldn’t take it, so attacked Gozo instead and enslaved the whole population. After this attack, the Knights built the city of Senglea, building a new fort which they called St. Michael. The Three Cities played a most important role all through the Great Siege of Malta of 1565. The invading Ottomans concentrated all their attacks on the cities, firing cannon balls day and night for months. Undefeated, Birgu was given the title of Città Vittoriosa while Senglea was called Città Invicta after the siege was over. In his book The Great Siege: Malta 1565, Ernle Bradford gives a very detailed account of the siege, a must-read for all history-buffs out there. It was only six years after the Great Siege that Valletta was built, taking over the title of capital city from Birgu. In 1670, during the reign of Grandmaster Nicolas Cotoner, the building of the Cottonera fortifications started–a project that was intended to create a new city encompassing all the surrounding towns but which was never completed as planned. The new city was going to be called Civitas Cotonera, a name that still sticks among the population. In 1722, Grandmaster Marc’Antonio Zondadari gave the town of Bormla the title of Città Cospicua. Bormla’s ancient name of Burmula is thought to be Phoenician. ‘Burmula’ is made up of the words ‘Bur’ and ‘Mula’ where ‘Bur’ means ‘place’ and ‘Mula’ means ‘high’. During World War II, the Three Cities suffered greatly when Italians and Germans bombed the Grand Harbour and the surrounding areas. Many inhabitants had to leave their birthplace and seek refuge in the countryside, returning after the war was over. Today, thanks to massive investment, the Three Cities have become once more a sparkling jewel amongst Malta’s cultural treasures.